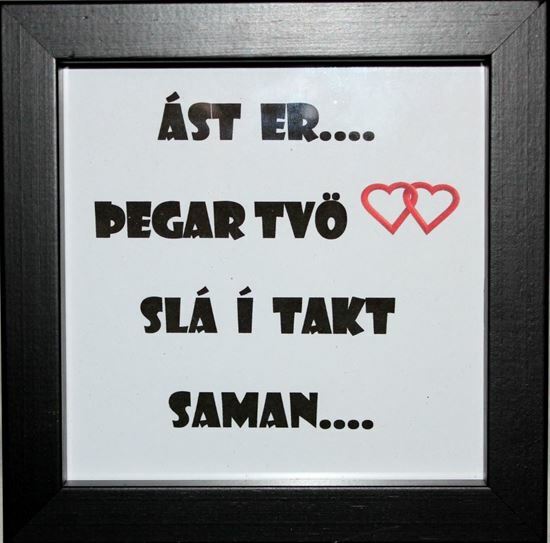 Beautiful quotes in picture frames- Love is when are two hearts beating as one… Size of the frame is 12*12 cm. Color choice is white or black photo frame. This item is beautifully wrapped in clear foil. Express your affection! Surprise and excite the one you love with this breathtaking flower bouquet. This unforgettable bouquet is almost guaranteed to leave her or him speechless. Roses delivery says ‘I love you’ more eloquently than any words can. Different sizes of roses and greenery are mixed in this bouquet. The perfect gift for "her" or "him", anniversary, Valentine, Day of Women... or to say congratulations.